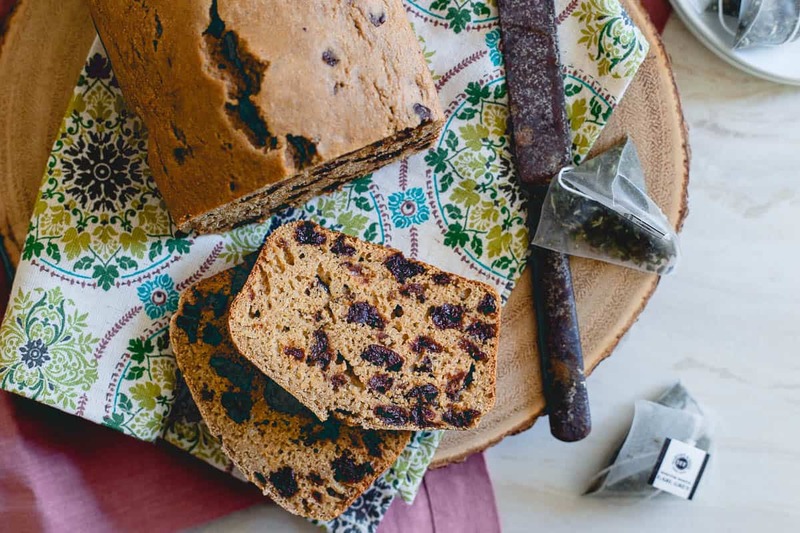 *This tart cherry tea bread was developed in partnership with the Cherry Marketing Institute. Montmorency (tart) cherries are soaked in tea and studded throughout this simple cherry tea bread. Makes for a great afternoon or late night snack! We’ve been through this conversation (many times) and by now, I think you all know how much I hate winter here in New York. This time of year literally feels like it’s sucking my soul out of my body and I fail to understand why anyone chooses to live here when warm climates, palm trees and oceans exist. That said, one part of winter I do actually love (yes, there are a few small things that make me happy like my constant state of sweat pant wearing, cozy stews, chilis, soups, carb-filled meals and the heated seats and steering wheel in my car) is my afternoon and/or nighttime tea drinking. Once the warmer weather hits, this tea obsession gets kicked to the curb like a bad habit but for a solid 5 months, a day isn’t complete without a cup (<– I almost typed “cuppa” there but then remembered how much I actually dislike that word that everyone uses now). I’m pretty open-minded when it comes to tea. Except green tea (unless its used in bread like this matcha bread). Yuck. Yuck. Yuck. I just can’t with that stuff. It’s like dirt and grass and bitterness combined in my cup. I’ve tried a million different kinds and come to accept it’s just never going to be my thing. But if one tea has my heart, it’s earl grey. The bergamot flavor is just so delicious and with a splash of milk and hint of sweetener, I could happily sip that all afternoon like I was born and bred in England. 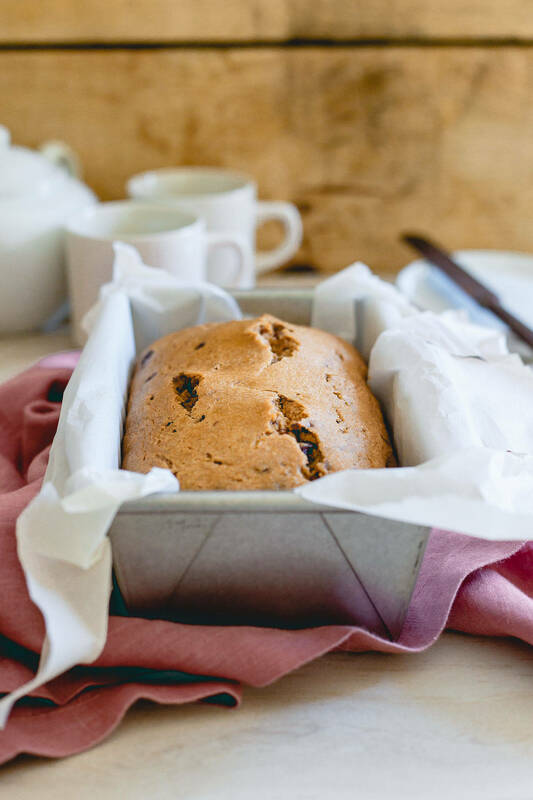 This tart cherry tea bread combines two of my winter loves: carbs and tea. 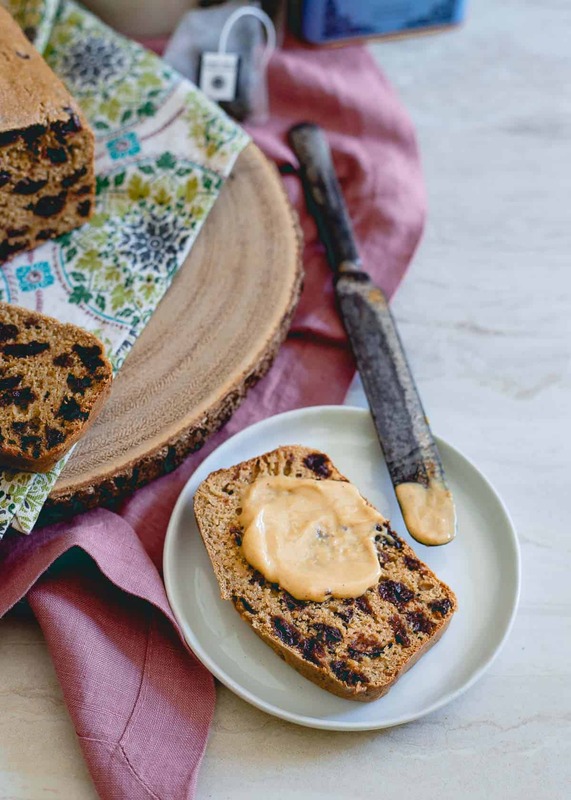 The result is a simple loaf, bursting with both citrus and spice-filled flavor and studded with nutritious, anti-oxidant packed Montmorency tart cherries that have been soaked in earl grey tea. It’s not overly sweet and lends itself to the perfect afternoon or night time snack. Since Montmorency tart cherries are a great natural source of melatonin, I’ve found myself eating a slice along with my cup of tea right before bed. If a delicious slice of bread can help improve the duration and quality of my sleep, I’ll happily oblige. 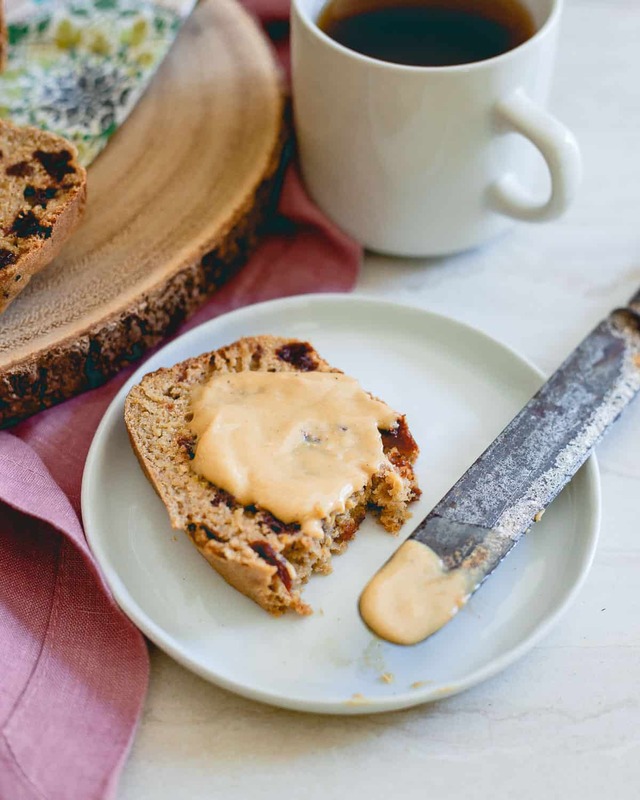 Toasted and slathered in cashew butter optional but preferable. Try these chewy tart cherry oat bars, tart cherry power cookies, chia cherry crunch bites or a mini tart cherry galette for more great tart cherry snacking! 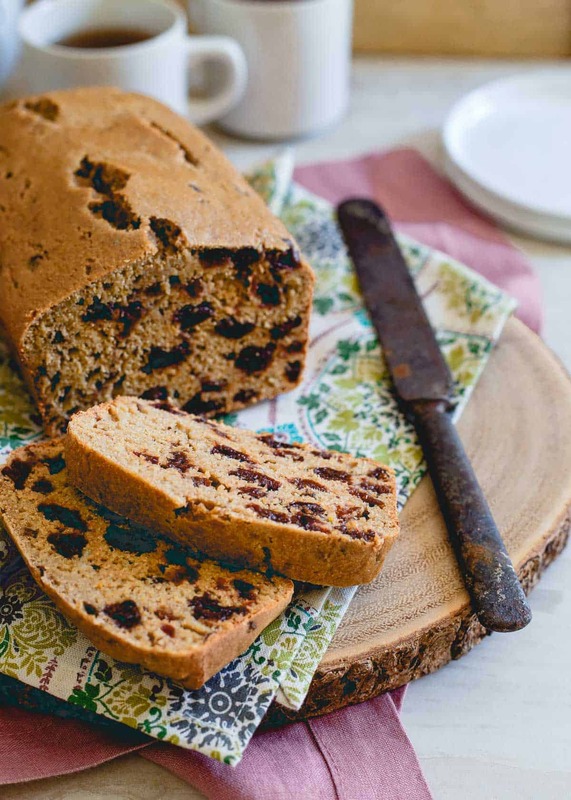 Tart cherries are soaked in tea and studded throughout this simple cherry tea bread. Makes for a great afternoon or late night snack! Pour boiling water into a large bowl. Place tea bag in the bowl and let steep for 5-7 minutes. Remove tea bag once steeped and discard. Add the dried tart cherries, maple syrup and orange zest to the bowl, toss to combine and submerge the cherries in the liquid. Set aside for 30 minutes. Add the flour, baking powder and spices to a large bowl. Stir to combine. Add the soaked cherries along with any excess liquid to the bowl with the flour. Add the eggs and mix until well combined. Transfer the batter to the parchment lined loaf pan and bake for 50 minutes to 1 hour until set and golden brown on top and around the edges. Remove the bread from the loaf pan by pulling the sides of the parchment paper up and place the bread on a cooling rack for at least 15 minutes before slicing. Tea? Cherries? Maple? Bread? Seriously love it all! Earl grey is my favorite too Gina. 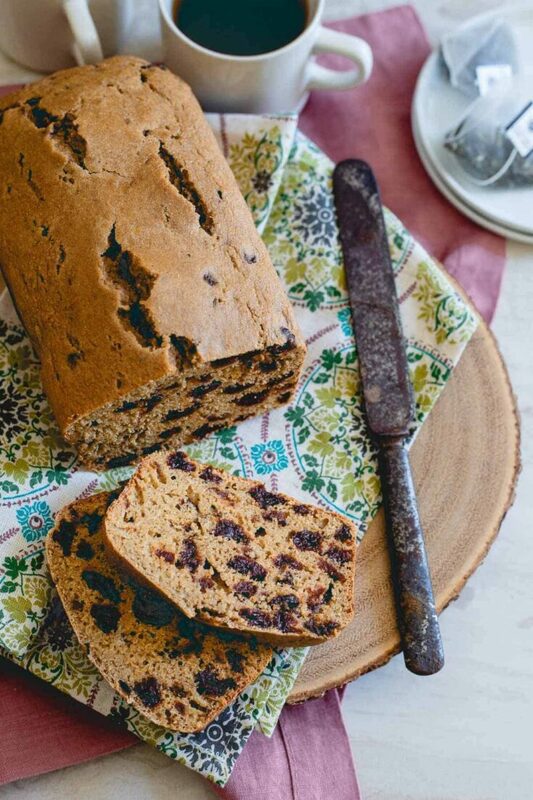 This tea bread looks amazing. So packed with cherries. I know I’m going to love it! Well this is a tea pairing I can get behind! Love the cherries in this! And funny because I actually love cold and snowy weeather, but that’s because I get so tired of the sunny warm days here in SoCal. 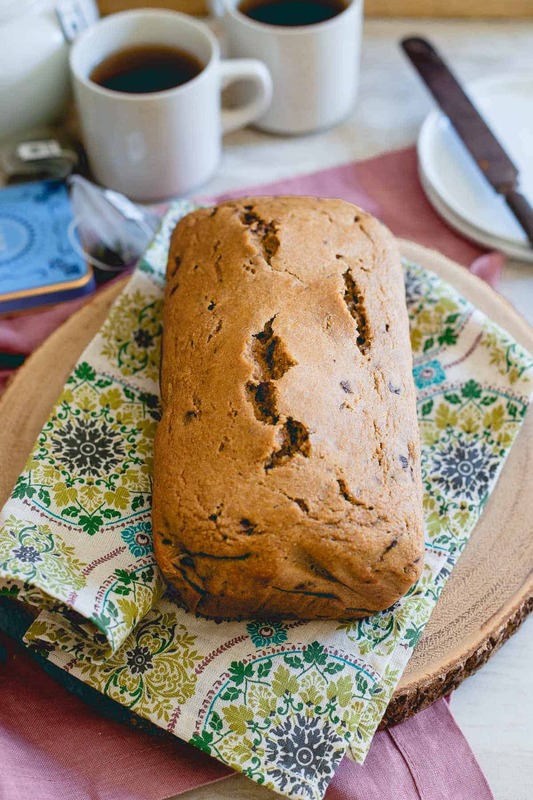 This tart cherry tea bread looks AMAZING!!! I love the cherries!!! Definitely the perfect mid-afternoon snack. I’m always looking for yummy recipes to pair with my tea. my mom is the complete opposite: she loves green tea and can’t stand earl grey (she’s very anti-orange zest). 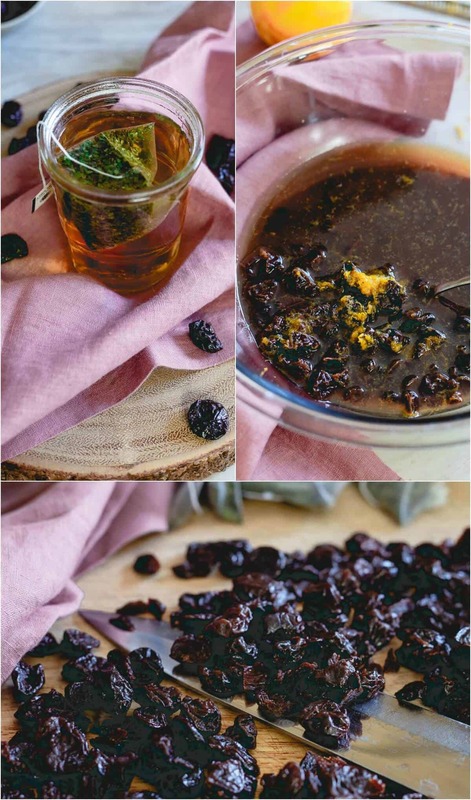 anyways, good thing earl grey is one of my favorites (; steeping the cherries in it sounds genius, and i love that you added even more orangeyness with some zest! can i leave out the maple syrup, and just put in a little more liquid ingredient(s) just a tad bit? You need some sweetness in the bread – I wouldn’t advise leaving it out. You could replace it with honey or maybe lessen it down to 2-3 Tablespoons but I wouldn’t skip it altogether and would not adjust other liquid amounts if you do. I cannot have caffeine in any form, so I only drink herbal tea. Is there an herbal tea variety you would suggest to replace the Earl Grey? Could you just use a decaf early grey? If not, use whatever herbal tea you think would complement the flavors in the bread. There are so many options out there!